Determine and analyze author’s purpose and support with text. 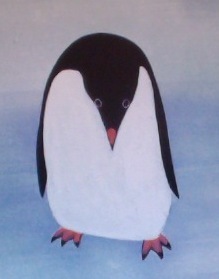 Narrative nonfiction following Emperor penguins and other critters through a year in Antarctica. Also, there’s And Tango Makes Three. Summarize text, include sequence of main events. The small amount of text in this book would fit on one page and could be used as a shared reading. Alternately, you could remove the text, copy all the pages, and have students put the pages in order before or after you read the book. Ask someone to define the word for you. See explanation below. Use dictionaries, thesauruses, or glossaries as tools. There are plenty of tier three words in this text: rookery, Weddell seal, Adelie penguins, Skuas. Use this as an opportunity to explain that certain words might be more difficult to find in a basic or standard dictionary. It might actually be more efficient or appropriate to talk with another person. You can see a preview of this book here, through Google Books. 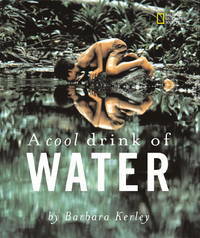 The title of the book might be taken from the poem “No No No No” by Maya Angelou, which contains the line used as the title of the collection the poem is featured in, Just Give Me a Cool Drink of Water ‘Fore I Diiie. Depending on the students you teach, you might or might not consider the poems in this book appropriate for discussion in your class, but I definitely encourage you to take a look at them. The book was written in 1971, and nominated for the Pulitzer Prize in 1972. National Geographic and the Smithsonian do a pretty bang-up job of providing high-interest, gorgeous nonfiction texts for students. The text in this book is very basic, only a few words per page, which would make it perfect for primary read alouds. But the end of the book has individual stories about all of the places featured in the photographs. It would be pretty remarkable to have each page displayed around the room on multicultural night, then have each student be an expert on explaining information from one of the pictures. Wow! If Ms. Koyama puts together a multicultural night for us this year, I’ll TOTALLY do that! Compare within and between texts. As mentioned above, have students select a photograph to become an expert on. Randomly have students partner up and give them two minutes to find a similarity and a difference between their subjects’ situations. At the end, debrief and notice if you noticed any common themes. Determine and explain author’s purpose. If students have brainstormed theme ideas, discuss how those are similar to and related to what the author was trying to achieve in writing the book. Often, students will say that a nonfiction author wrote a book “because he/she liked ______” (whatever the book was about — like cats or ponies or tornadoes). But in this case, it seems kind of silly to say the author wrote the book “because she liked water.” Use this example to push students’ thinking further. Skip the word then come back. Before you read the book, put small Post-it notes over some of the words in all capital letters. Often these kinds of activities are done with rhyming words covered up, but the support of the pictures should make the activity doable despite a lack of rhyme. Example page for "Skip the word and then come back." You could also keep the first and/or last letter of the word uncovered. Determine and analyze author’s purpose and support with text. When we’re reading nonfiction, I’ve often noticed my students will inevitably decide that the author wrote the book because they were interested in the topic they wrote about. That makes sense, after all, haven’t we been teaching them to write about what they’re interested in? But this could be an interesting book to dig a little deeper into that idea. 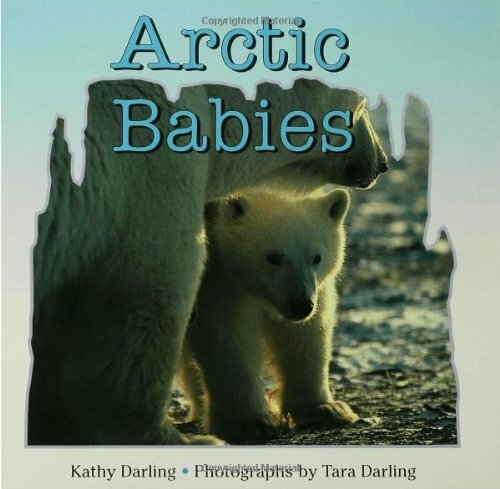 The author is Kathy Darling, and the photos are by Tara Darling. Are they related? Do they visit the Arctic together? Tara Darling has photographed animals all over the world. You can find out more about the duo here. Tara has a Facebook page, too. Compare and contrast within and between text. 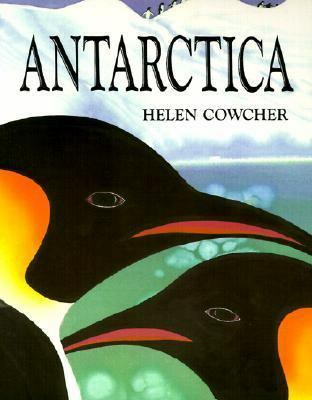 The format of this book makes it perfect for copying a few pages and giving them to students for a shared reading or working with a partner to compare and contrast two animals. Counting books are great. Austrailian counting books with adorable Australian animals are even greater. Especially if that counting book goes all the way up to 14 instead of the standard ten. You can find this book in the red “Math” bucket in the bookroom. The numbers in this book are written out in word form, rather than in standard form. This might be helpful for second and third grade teachers working with their students on spelling the numbers correctly. One Woolly Wombat is a recent addition to our mentor texts in the bookroom, so if it meets your needs, make sure you stop by room 301 and thank Anne and Tin for putting the most recent book order together! Determine and analyze author’s purpose and support with text. This is so much more than a counting book. It introduces students to Australian wildlife, shows them the word forms of their favorite one-digit numbers, familiarizes them with Australian slang, and entertains them with animals in silly situations. By the way, if you want to learn more about unique Australian animals, check out this fantastic web site. Use the pictures.. Do the words and pictures match? This could be an important lesson on a time when this strategy can fail. If a student doesn’t know what a echidna is, looking at a picture of one won’t help them decode the word. This is a great opportunity to talk about what to do when one reading strategy isn’t working. This is also an opportunity to encourage students to read widely and engage adults in conversation — the more words they’ve heard orally, the better they’ll get at decoding them in their reading. Blend sounds; stretch and reread. 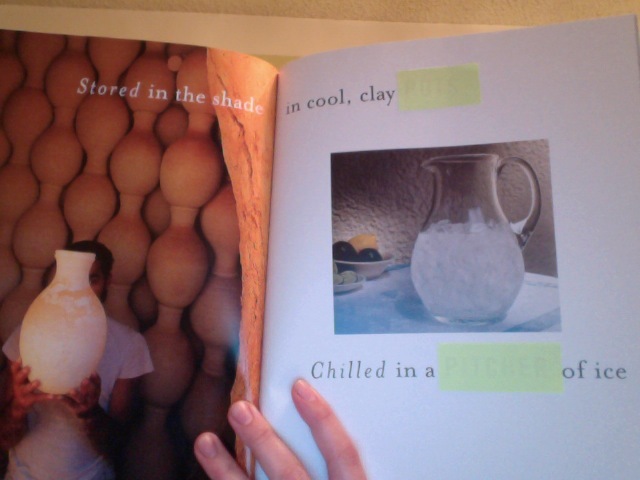 There are plenty of blends and digraphs in this book, both at the onset of words and in the middle. There’s not much text, so it would be relatively painless to type the text into a Word document and then project it onto a screen. I’ve typed the text for you here: One Wooly Wombat . If you project the document onto a whiteboard (or SmartBoard), you can then highlight or circle all the blends and digraphs. Practice common sight words and high-frequency words. I imagine it must get a bit tiresome in the primary world to use the same twenty or so numbers each year. If the text in this book isn’t at your students’ reading level, perhaps they can at least practice finding and writing the number words they see.